Carl Wagner hails from West Texas and is a third-generation El Pasoan. After attending his first year at the University of Texas El Paso, Carl decided to pursue his love of golf by transferring to The San Diego Golf Academy, where he received his Business Associates degree. After acquiring all required accreditations, Carl became a member of the PGA and has held professional golf positions at exclusive resorts that included McCormick Ranch, Rancho Santa Fe Golf Club and the Chardonnay Golf Club in Napa Valley. 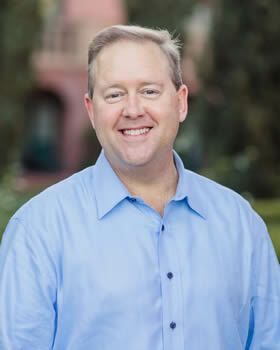 From his exposure to numerous hospitality executives in these golf communities, Carl developed an interest in hotel management and joined Marriott International, where after seven years in various management positions, Carl was honored with the Chairman’s Club Award for sales achievements and outstanding service. After Marriott, Carl expanded his professional experience by working as Director of Sales for a full-service hospitality management and catering company. Carl was the Director of Group Sales at the prestigious Fairmont Sonoma Mission Inn and Spa prior to joining Benchmark Destinations. Carl thrives in the hospitality industry. He takes great pleasure in helping clients create, design and implement their custom programs. He also enjoys interacting with his partners and long-term hospitality vendors to deliver spectacular results. Since Benchmark Destination’s inception, Carl has resided in wine country and has been in charge of its Napa & Sonoma office. Carl is motivated by his enthusiastic clients and their exceeded expectations! During his leisure time, Carl enjoys golfing, skiing, travel & fine dining with his wife and extended family.